Whether you’re an affiliate who makes money promoting other people’s products or you run an affiliate program of your own, you can’t escape social media. Social media tools like Twitter or your favorite social network can both help and potentially hurt affiliates. Let’s look at both sides of the issue — how you might benefit from social media as an affiliate and how a company’s social media activity could hurt your own affiliate sales. You can reach more people about promotions (although you should always disclose the affiliate relationship). Social media can help you build a bigger audience for your own website or blog as people click your links to see what you’re reviewing. That, in turn, means you have more traffic on your site that can be directed to affiliate offers. In addition to your own active social media marketing, you can include social buttons on your affiliate offers and reviews. That lets your existing audience spread the word even farther, helping you reach new people and make more money. Social media tools can be great for link building, which could help your affiliate site rise in search rankings (and lead to even more organic traffic). While social media tools can be great for affiliates, they also have the potential to hurt affiliate sales if the original company selling the products has a strong social media presence. Basically, social media makes it easier for them to reach members of their target market directly. That could mean there will be less need for affiliates in the future. 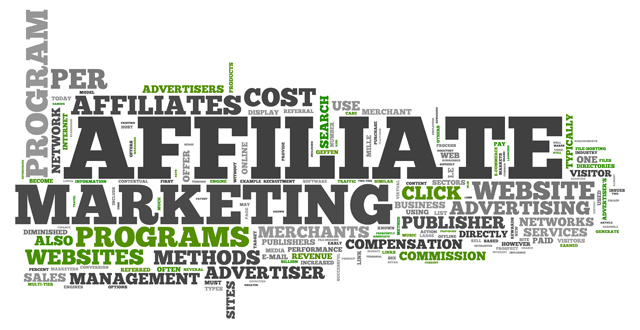 Affiliates are essentially paid to refer products and services. Members of a social network can spread the word through referrals just as much, if not more, and the company doesn’t have to pay them. From the company’s perspective, which is more attractive to you? In no way am I saying that affiliate sales are dead or dying or that affiliate programs aren’t worthwhile if a company is already active in social media. These are just things to think about as you plan your own affiliate marketing strategy. How will you use social media? How will you diversify the affiliate programs you join? And how will the social media activity of the paying company influence your own affiliate marketing behavior? Share your thoughts in the comments below.